** NOTICE: Effective July 31, 2014, AM General is no longer offering free shipping to US, Canada, Puerto Rico and Mexico customer addresses. 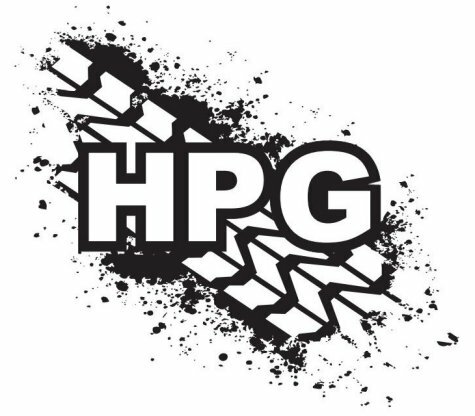 Items in stock at the HPG warehouse will typically ship either the same or following day depending on workload, items not in stock at HPG (but in stock at AM General) will be received at our warehouse within 2-3 business days. Special order items will be quoted with appropriate lead times prior to purchase. Due to the sensitive nature of certain ITAR controlled parts, we have the right to refuse any quote or sale. If an order is refused the sale amount will be credited back to the customer and the order will be cancelled. During checkout the customer will be provided the option of ground shipping only. All Next Day and 2nd Day shipments must be called into customer service and cannot be placed online. This is to verify customer shipping information, ensure product availability and estimate costs PRIOR to shipping. Hummer Parts Guy utilizes UPS for Home Delivery, Ground and Express shipments. They are preferred due to the high dollar value of the parts being shipped, trace-ability, pickup/delivery, low claim history, shipment dimensions and high availability of their networks. USPS/Mail Service shipping is NOT offered for any domestic shipments. Shipments that exceed certain dimensions and weight may ship LTL (common freight carrier). Those shipments will be quoted prior to shipment. Due to claims, proper insurance requirements and potential fraud we do not allow customers to use their own Fedex/UPS shipping accounts (aka, please ship using my Fedex account XXXX instead of being charged for shipping) these requests will not be honored during checkout. We do not ship to APO or PO Box addresses. All international orders are shipped DDU (Delivered Duties Unpaid). All duties and taxes are the responsibility of the customer and are not included at the time of sale and Hummer Parts Guy is not responsible for duties, taxes or import fees associated with your country of import. Once an order has shipped, any orders that are refused by the customer will incur additional shipping/handling fees (up to 50% of the value of the order). Any orders returned to HPG because of non-delivery will not be refunded. International shipments are normally processed every Tuesday and Thursday due to special packing requirements and international forms/paperwork. The customer must choose their shipping carrier - it is not the responsibility of Hummer Parts Guy. ALL shipping charges are ESTIMATED, final rates will be provided once the order has been prepared and packaged. Online shipping estimates are based on weight and do not take into account any dimensional weight considerations due to repackaging and order consolidations. Custom shipping can be arranged using FedEx, UPS or USPS (Parcel Post). All extra duties, taxes, custom fees or import charges for international shipments are the responsibility of the customer. Payment will be made in full prior to releasing the shipment to the customer. Rates and estimated shipping charges are rated at USPS (Parcel Post) flat rate fees - other shipping methods may cost an additional amount. International orders shipping USPS (Parcel Post) will have limited to no tracking availability and may take up to 30-45 days for delivery. Once the order has shipped and the tracking number has been provided to the customer, any delays, stolen items or non-delivered orders will NOT be refunded. There are other shipping methods (DHL, FedEx, UPS) available with guaranteed delivery options. Any damaged shipments will have a claim filed with the carrier. The customer has the option of utilizing their forwarder for international shipments. It is the forwarding service's responsibility to ensure the shipment is prepared for international shipping and any claims or damage is the responsibility of the forwarder. If the customer utilizes a forwarding service or address, the delivery location listed on the order (shipping address) will be the responsibility of HPG - meaning we will ensure the package is delivered to the forwarder, but it is the forwarders responsibility to ensure the package is received properly - all parts are accounted for, no damage has occurred during initial shipment. Once the order is shipped internationally HPG has NO liability in the parts or delivery (delivery condition, parts arrival, damage, etc). Your forwarder needs to ensure the parts are prepared for shipment and re-shipment based on the country they know best - this is what they are being paid for.